Game of life DIY by Manuel Montoya Aguirre « Adafruit Industries – Makers, hackers, artists, designers and engineers! Ever since I discovered John Conway’s “Game of life” I have been obsessed about the interesting patterns of such a simple algorithm. 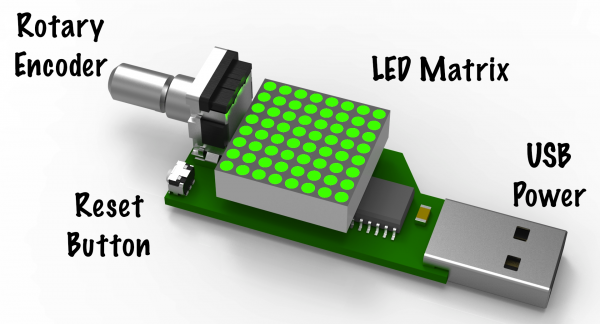 A few weeks ago I decided to design a USB toy capable of running the game of life on a tiny 8×8 LED Matrix. This is what I came up with. 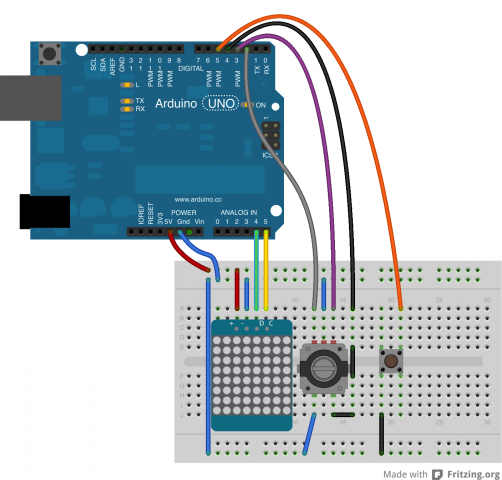 Upload the Arduino sketch and repeat the following for next 5 hours: Stare, push button, stare, push button, stare, push button. 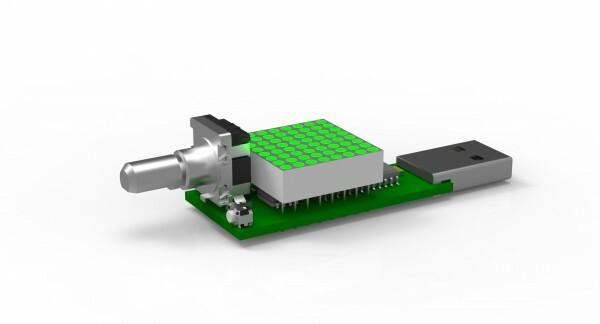 The cool thing about this project is that you can pause the evolution by pushing the rotary encoder. Then you can go through each step (“tick” for those who know their automaton) until you find a stable universe or extinction. Currently there is no backwards evolution but I am planning to implement it on the next update using memory to store the last 10 Universes.